Wage and benefit increases to keep employees engaged can be effective at times, but these knee-jerk reactions can be costly for a business to shoulder. Thankfully. they are not the only option. Creative strategies that go beyond pay and benefits can be implemented to attract and retain employees just as effectively as the costly raises and benefits. Employee retention begins during the job interview process. No matter how much you want to keep an employee on, and no matter how much you do to influence their decision to stay, ultimately the employee is the one who decides to stay or go. It’s a balancing act and one of the few times you can directly influence the employee’s side of the equation is when you hire them. Be The Best! Of course you want your business to be at the top of its game all of the time – especially when compared to your competition. And so do your employees. People want to work for the winner. Not only does this ensure employment longevity, it also instills a sense of pride. The first step is understanding your company’s competitive advantage – the thing that sets you above (not just apart) from the rest. Take the time to define it and make sure your customers and employees know about it. We are currently experiencing one of the highest candidate driven hiring markets of our time. 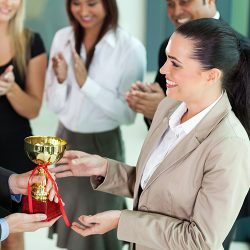 Companies are emphasizing effective retention programs to retain their “A” players. Get on board and BEST can help you retain those “A” players that are so critical to your future.